Ready your crew for a trivia night like no other! In this one-of-a-kind fundraiser, teams raise money before the event to build their trivia cheat banks. The more money you raise, the more cheats you can use against other teams on the night of the event. The competition is fierce, but it's all in good fun. You know what they say—keep your friends close and your anemones closer. All proceeds from the event will go toward our five free programs, helping empower brilliant young authors all around the Twin Cities. So, gather your crew, grab your snorkels, and dive in to MOI's third-annual Trivia for Cheaters extravaganza. Sign up your team today! Just want to come and watch the fun? It's $5 at the door for spectators. Be sure to cheer! Sign up, donate, and learn more at give.classy.org/triviaforcheaters19. Come join us for a celebration of MOI's new space in South Minneapolis and a kick-off of our 2018-19 program year! Time to celebrate! Join us for an official reception for the 3rd annual Young Authors' Book Project, The Bold, Untold North! The Winter/Spring chapbook is here! Join the Crew, writers, and their families for a night of reading and writing to celebrate another successful semester at the Writers' Table. Time to celebrate! Join us for a release party for the 3rd annual Young Authors' Book Project, The Bold, Untold North! Get your sea legs at an orientation! The second annual Trivia for Cheaters trivia tournament and fundraiser will be on Tuesday, March 20, 2018. Learn more here! Join us for our volunteer orientation to get your sea legs for working with Twin Cities students on creative writing and tutoring. Come and learn about our five programs, which take place in and out of schools, and leave with next steps for getting involved. Smallest Museum St. Paul Reception! 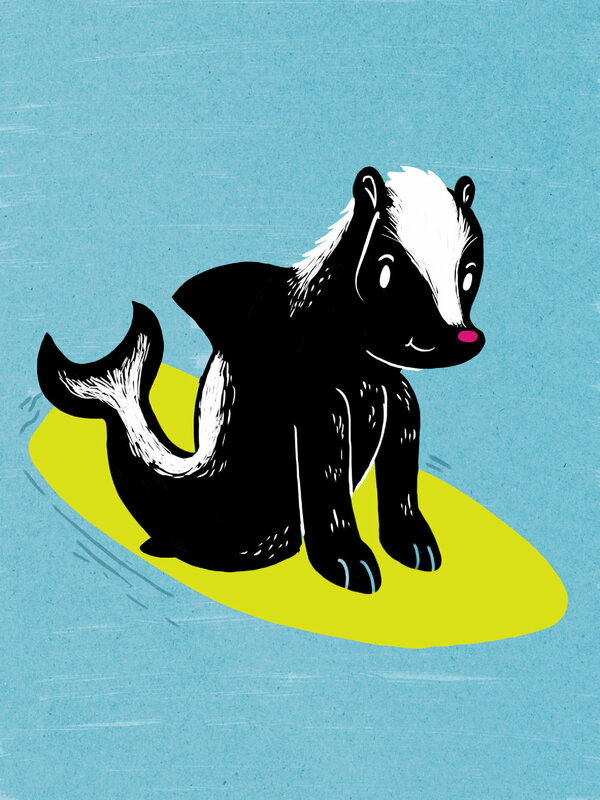 Meet the Awkward Skunkshark, who lives on both land and water! Learn more at the reception. Join Mid-Continent Oceanographic Institute for our Smallest Museum St. Paul reception! The Smallest Museum St. Paul is a 3ft x 2ft micro museum, housed in a vintage fire-hose cabinet outside Workhorse Coffee Bar in St Paul, Minnesota—right across the street from MOI. This February, MOI will be featuring some of our students' art as part of our Lost Ocean of Minnesota exhibit in the museum. The exhibit opens February 5th, but our official artists' reception will be on February 10th! Join us for games, snacks, music and back-to-school goodies as we dive into our free creative writing and tutoring programs for the 17–18 school year. MOI will be closed for holiday. Join us Monday, June 12th, for a reading at Moon Palace Books to celebrate the release of Adventures Within Another! Homework Help tutoring sessions can be made by appointment. Email max@moi-msp.org for more information. Homework Help tutoring sessions can be made by appointment only. MOI will be closed for Memorial Day weekend. This is the last day of After-School Homework Help, however, tutoring appointments can be made from May 30th through June 8th. Young Authors' Book Project Release! We're celebrating the publication of Adventures Within Another: Stories of Identity and Culture from Como Park High School today! Work with the next generation of writers through our after-school, field trip, and in-school programs. Learn about our programs and how you can make a difference in your local community!